There are two ways to take Shyam Saran’s views. One is that his public reinforcing of the official nuclear doctrine owed to his possible frustration with his views voiced in his advisory capacity not gaining the desired resonance within government. The second could be that his public voicing of the doctrine ten years after its first formulation was to remind putative adversaries, read Pakistan, of the nuclear worst case possibilities, and thereby reinforce deterrence. In either case it appears that there is movement in India’s operational nuclear doctrine, even as Shyam Saran’s speech maintains that there is little shift in the declaratory one. The seeming divergence between operational and declaratory doctrine owes perhaps to the misconception that only massive punitive retaliation deters. Firstly, this is not so, owing to lack of credibility, and secondly, India risks a commitment trap that could deliver the worst case. Therefore, refurbishing Indian deterrence requires India to bring about a convergence between its operational and declaratory doctrine through a movement in its official doctrine. What Saran wants is the obliteration of Pakistan and its people – massive punitive retaliation implies little else – in case it has the temerity to introduce nuclear weapons into a conflict. It is not understood how he insists on this in light of Pakistani nuclear inventory having crossed into three digits over the turn of the decade. India cannot hope to remain unscathed in fatally wounding Pakistan, not least because of the environmental catastrophe close at hand. Given this inevitability, the threat lacks credibility. Realising the escalatory potential and genocidal/suicidal implications of ‘massive’ punitive retaliation, India may have quietly moved to a more appropriate operational nuclear doctrine. This can only be one that keeps the inherent impetus to escalation in any nuclear exchange under maximum check. The manner that this can be best done is in having a proportionate nuclear retaliation doctrine in which every nuclear blow is responded to by a like blow, at least in the initial few iterations. The message conveyed would be that India has no interest in escalating, even though it can, but would exact a like nuclear price of Pakistan for each nuclear blow it receives. Pakistan, hurting proportionately more, would likely get the message that would also be piped in by other channels too such as diplomatic, political and media alongside. Saran reasons that there is an inevitability to nuclear escalation. This was the position of the doyen of Indian strategists, K. Subrahmanyam, the one in whose honour Saran was speaking. Once the nuclear genii is released, it is impossible to put back into the bottle. Therefore, in this reasoning it is best for India to go for the jugular right away. In any case threatening to do so would keep Pakistan’s nuclear finger off the nuclear button since it cannot be certain that India would not do as promised, even if in the process India will suffer dire consequences. 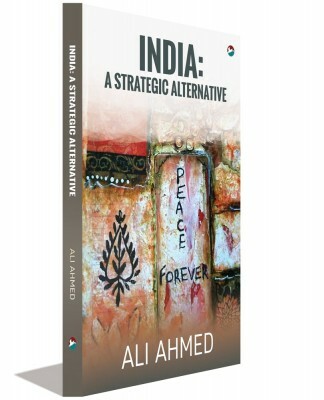 Stating alongside that India would nevertheless survive while Pakistan would be finished, as George Fernandes once famously, did is good strategy in the ‘irrational’ strategic actor mode. Projecting irrational behaviour, as once done by Ronald Reagan and sometimes a role subscribed to by Pakistan, is in theory expected to strengthen deterrence. Given this, it is not impossible that Saran is role playing, projecting an incredible and, therefore, irrational strategy. His voicing this could be meant to indicate to Pakistan that there are divergences in opinion on nuclear strategy in India that could come to a head in case of Pakistani nuclear first use. Pakistan cannot thereafter be comfortable that India would only behave rationally and persist with proportionate nuclear retaliation instead. Indian hawks might just prevail leading to Pakistan being wiped off the map, even as India copes with the consequences of a Pakistani nuclear last gasp as a broken backed counter strike. Knowing that Indian hawks have commandeered the strategic space in India, Pakistan could in the event be reduced to being more circumspect in its nuclear moves. If this is the case, then it is strategy of sorts, but rather a dangerous one. It pushes India into a commitment trap. Not following up with its promise detracts from Indian credibility. Pursuit of credibility, in such a case for in-conflict deterrence, may push India down the worst case road, in addition to the advocacy of the irrational by Indian hawks. If the chair person of the NSAB is itself of such persuasion then their stridency will be at a peak. India can underplay the costs of such irrationality only for deterrence purposes, as Saran may well be doing. However, when push comes to shove, it would not do to believe India will survive, even as Pakistan bites the dust. Not only will India be subject to direct nuclear attack of indeterminate proportions, but the environmental and human aftermath in both India and in Pakistan, will overwhelm the leadership as it emerges from its nuclear command bunker. India as we know it will have ceased to exist as it has many times before in its history. 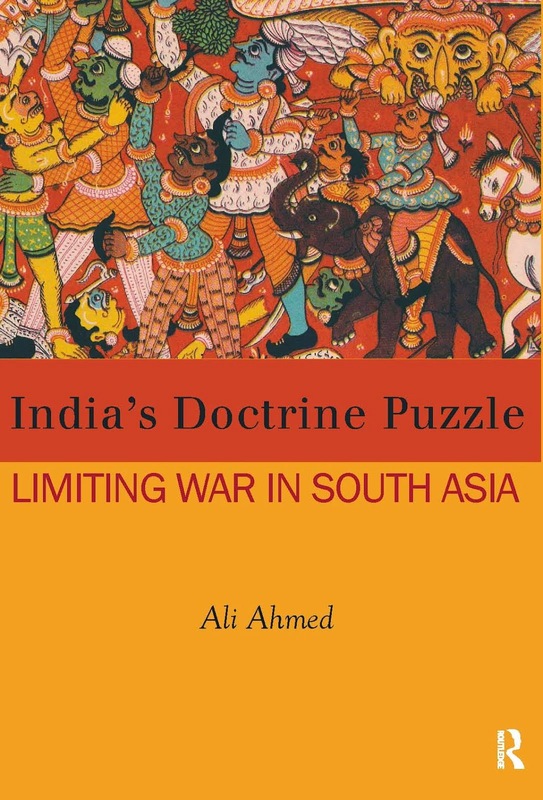 The problem with persisting with the ‘Subbu doctrine’ is that it does not take into account the water down the Yamuna in terms of India’s conventional doctrinal movement and is oblivious to the water down the Indus in terms of vertical proliferation. Together they compel a revision, not restatement as Saran does. Nuclear hawks are more interested in clobbering Pakistan than preserving India. Saran’s could well be a preemptive attack on a policy shift underway. He lets on that there is a new Strategy Programmes Staff in the Nuclear Command Authority (that he erroneously refers to as National Command Authority, the term Pakistan uses for its nuclear decision making body). This Staff works on the operational doctrine and the nuclear strategy that emerges there from. Given the irrationality inherent in the official, declaratory doctrine, India can be expected to have moved to a more ‘rational’ nuclear doctrine over the decade since it was adopted in 2004. This movement need not be kept secret but released into the public domain; a call Saran makes in ending his speech possibly to help mobilise support against the shift that appears underway. However, going public helps with transparency, a requirement for healthy deterrence. Pakistan realising that India is not without options can be expected to take the appropriate nuclear counsel. 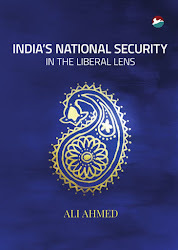 This suggests that India’s declaratory nuclear doctrine along with its conventional doctrine of proactive offensive designed to coerce a change in Pakistan’s offensive posture at the subconventional level. The threat of being wiped off the map for this continuing with the temerity of periodic terrorist provocations is held out in the formulation that limited nuclear war, forced by Pakistani introduction of nuclear weapons in a non-strategic way into a conventional conflict, is impossible. Even if this proposition is found in the event to be true; it would be somewhat late for India too since it too would be grievously, if not fatally, wounded. Therefore, if the threat is taken credibly then it puts India in nuclear harms’ way. The next steps suggested by Saran that Pakistan ‘pursue nuclear and conventional confidence building measures’ and ‘an agreement on no first use of nuclear weapons’ are simply not enough, since Pakistan, seeing the incredibility of Indian threat in light of its capability to inflict nuclear harm on India (something it best knows), will not oblige. Therefore, the logic of ‘mutual assured destruction’ that India and Pakistan are in, when not defined in the Cold War terms but in terms more appropriate to the regional predicament, brings up the option of a doctrinal turn away from ‘massive nuclear retaliation’, as currently, to towards ‘flexible nuclear retaliation’. In case India wishes to remain on the conventional and nuclear track it is on, then it needs to ensure limitation not only in conventional doctrine, that it is already apparently pursuing, but also in attempting to limit nuclear war in case, in the event of conventional conflict, it does not succeed in preventing its going nuclear. It has to in this case abandon the understanding that nuclear use inevitably triggers a spasmic nuclear exchange. Its belief that a ‘limited nuclear war’ is a contradiction in terms only plays into Pakistani hands in that it promotes self-deterrence. With flexible nuclear retaliation made possible operationally through an appropriate doctrine, Pakistan will be more suitably deterred. On the China front, there is little nuclear incentive and there is a mutual commitment to NFU. A flexible nuclear retaliation declaratory and operational doctrine and a nuclear strategy in the event of nuclear first use by the adversary will be in India’s supreme national interest of national survival. The supreme national interest then will be to ensure that the nuclear war is brought to a speedy close at the lowest levels of nuclear use by either side, as posited by the wise thinking general, Sundarji. India needs moving beyond the ‘Subrahmanyam doctrine’, something the strategist in Subrahmanyam himself would no doubt have approved. He would have recognised that Saran’s answer to the question he poses himself and goes on to answer – ‘Is India’s nuclear deterrent credible?’ – cannot have deterrence orthodoxy cripple its continuous evaluation.